In addition to the page of celebrations of 2016 Monaco National Day: Monaco Principality Palace published photos taken at the Palace during celebrations of 2016 Monaco National Day. 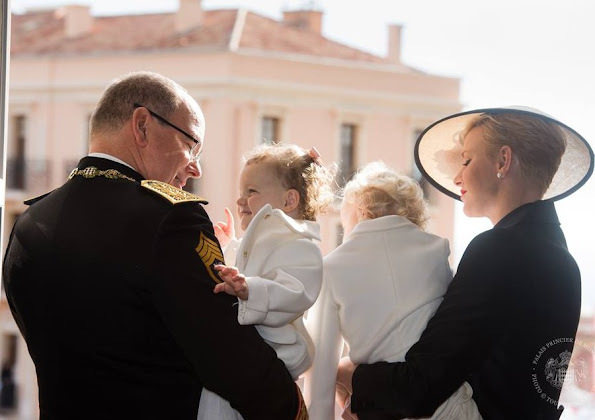 Among these photos taken inside the Palace, there are wonderful photos of Princess Gabriella and Prince Jacques. 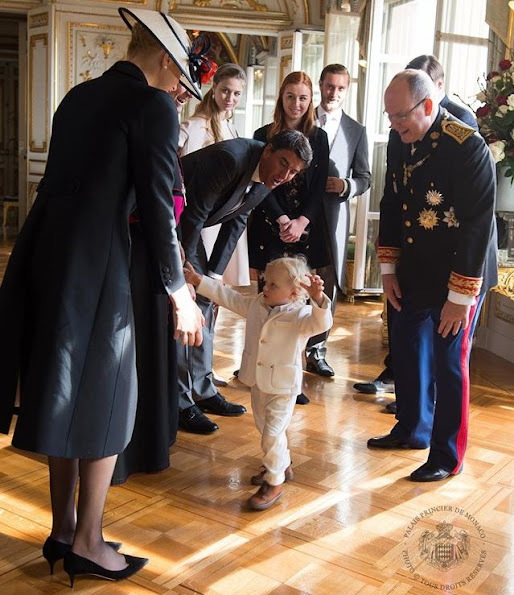 The outfits of Prince Jacques and Princess Gabriella are designed by Armani Junior. de prins het straalt er gewoon vanaf , ze zijn echt een leuk gezinnetje. en laat de roddel pers maar praten. het prinselijk paar heeft het goed voor me kaar !!!!! What a beautiful family. I can't see any rivalry between the family as suggested by the gossip comments. The little prince seems taller than his sister. The little princess takes after her mother and maybe have the length of her father, Prince Albert. They are adorable!! e's closer to the camera, makes him look bigger. Wow soo stylish just like their mum well done Charlene!! How cute and adorable the twins are! Their parents look very proud and happy. I love these photos. What a lovely family they have. They do get along well with the rest of the family. I hope this will stop the gossip sites from spreading rumors about them. Lovely family. Such beautiful children. Love the curls. It is always lovely to see such pride and joy in parents when they look at their children (as can be seen in these lovely photos). The love and adoration is almost palpable.